I started off by stamping the large flower, Medium and small flowers from Cherry Blossom stamp set. Coloured the flowers with Zig watercolours and fussy cut it. The card base was layered with kraft cardstock and an embossed cardstock. 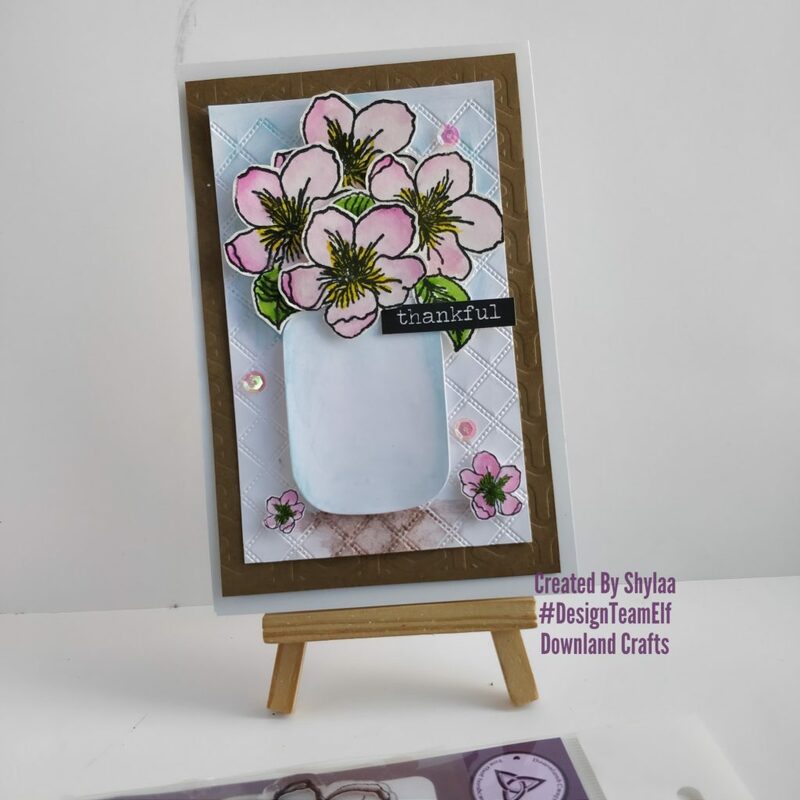 Watercoloured the white embossed cardstock and adhered the masonjar diecut and arranged the cherry blossom flowers. Added some sequins and finished my card by adding a sentiment. click below link to purchase the above stamp. Use DTESHYLAA10 at checkout to get discount. 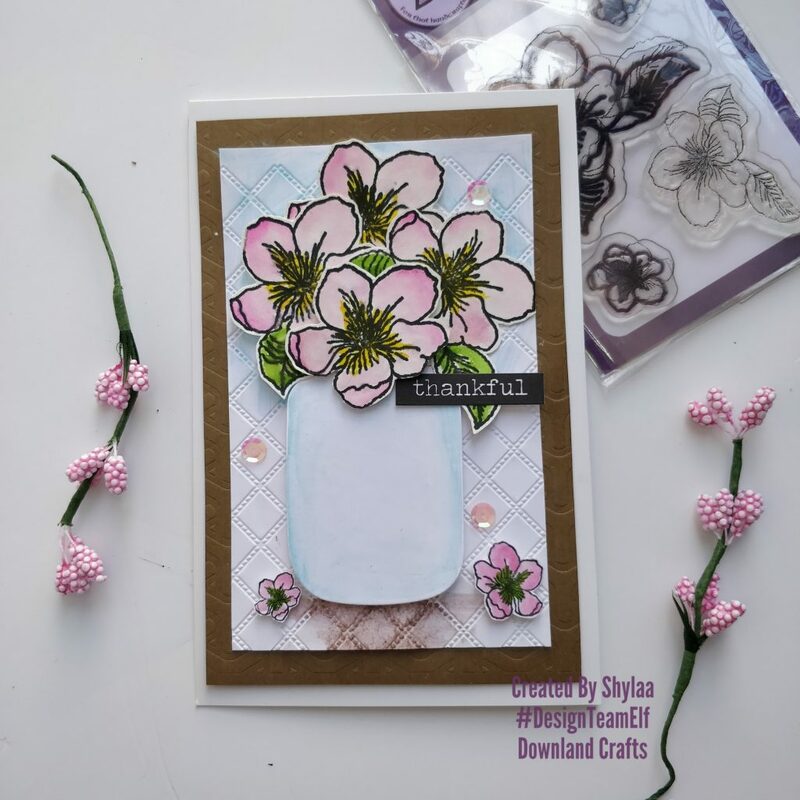 Downland crafts Cherry Blossom Stampset.